In a recent article from Gary Lawless of TSN, he brought up the need for the Buffalo Sabres to have a management in place prior to the upcoming expansion and junior draft in June. 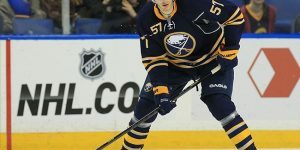 At this time, with Tim Murray and Dan Bylsma gone, the Buffalo Sabres have nobody to provide the final calls on the current roster and the possibilities to attract new players. 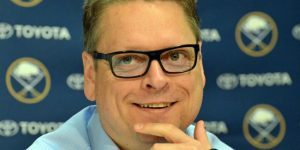 With The NHL Draft lottery coming tomorrow, the expansion draft on the 21st of June and finally the NHL entry draft on the 23rd, the Sabres must hire the key elements of their staff soon. 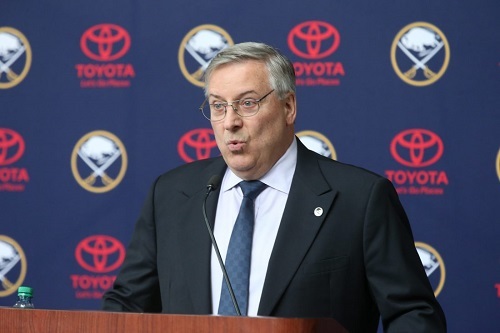 Owner Terry Pegula reassured the fans and the medias, he is working on it. His priorities at this point is working on getting a president of hockey operations. 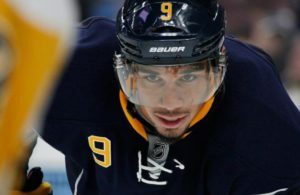 For the Sabres time is running fast on critical hockey decisions needed to be done for the future of the franchise. Hearing the interview process has begun in Buffalo for GM. Just talked to the Kings. Still no request to talk to Lombardi. As lawless pointed out, Pegula can’t rush his decision making for the sake of getting someone now and not hire the right man for the job. On the hand, they can’t really afford to delay anymore the hiring of his president and general manager. The Buffalo Sabres situation reminds us when Geoff Molson fired the whole hockey management staff after the 2011-2012 season. At the time, Pierre Gauthier along with interim head coach Randy Cunneyworth were fired following a season where Montreal finished third last in NHL standing. At the time, Molson took his time but went to the well-respected and former general manager Serge Savard to do the screening on the next general manager. Assistant general manager, Larry Carriere was the only member from the management staff who remained on the team. The rest is history and Montreal hired current general manager Marc Bergevin. Bergevin later hired Michel Therrien as head coach. This season the Los Angeles Kings also fired their general manager Dean Lombardi along with head coach Darryl Sutter. The Kings were quick in getting their hockey people in place ready for the NHL lottery and the upcoming drafts (expansion and NHL entry). 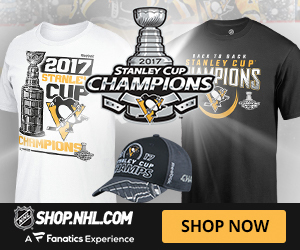 According to many sources, Bill Guerin seems to be one of the front runners for the GM position. Terry and Kim Pegula have already interviewed Bill Guerin. 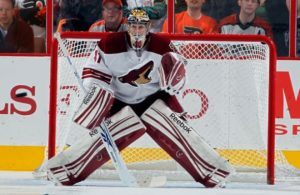 Guerin who played for many NHL teams was a power forward and played as late as 2010 where he won the Stanley Cup with the Penguins. 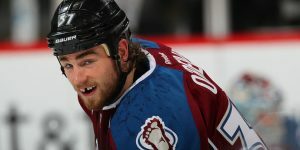 Guerin is seen as one of the rising executive in the NHL mainly due to his hard work, his passion for the sport and a keen eye for talent. Hearing that Bill Guerin has interviewed for the Sabres GM job. Obviously several other candidates have as well or will. It’s a process. Guerin is an assistant general manager for the Pittsburgh Penguins, where his focus is centered on developing the analytical side of the game. The Sabres have also interviewed assistant general manager for the Pittsburgh Penguins, Jason Botterill. 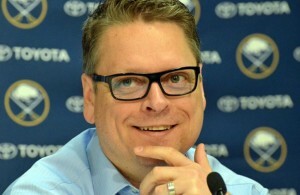 Botterill was interviewed when Tim Murray was selected for the general manager. 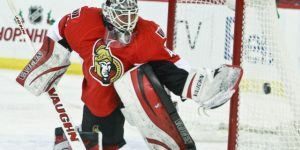 Other names that could be interviewed are: Mike Futa (also from LA), Norm Maciver (Assistant General Manager with the Chicago Blackhawks), Bill Zito (Assistant General Manager with the Columbus Blue Jackets), Paul Fenton (Assistant General Manager with the Nashville Predators), and Kyle Dubas (Assistant General Manager with the Toronto Maple Leafs). 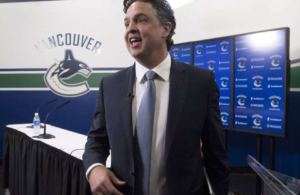 Other possibilities are Dean Lombardi recently fired by the Los Angeles Kings and Brad Treliving from the Calgary Flames, should he not get an extension from the Flames.